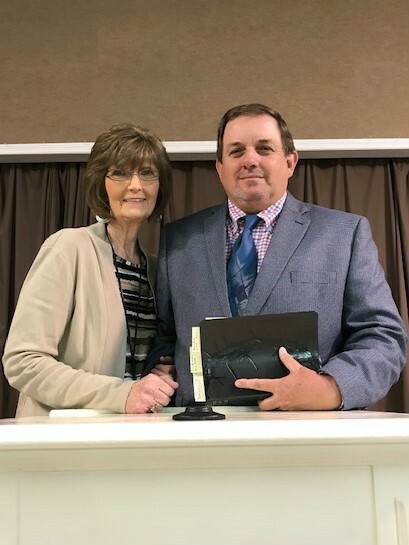 It is my God given privilege to be allowed to serve as pastor at Union Grove, and partner with Debbie my spouse, to lead this local body of believers in the surrounding community. Union Grove has a deep respect for all people, and sincerely preach and teach Jesus Christ preeminent in our hearts and strives for the presence of the Holy Spirit and the fellowship offered through Christ with God the Father. The church has long understood that ministry to all ages, from young to mature is the designed plan of God for His church, and we value the opportunity to welcome you into the family of believers at Union Grove. We don’t always get everything right, but we never purposefully pursue wrong, and our reliance on God’s leading Spirit is not only a desire, but a necessity. You are welcome at Union Grove, and if the church, me, or any of the leaders can assist you in your walk with Jesus please feel free to contact us. You are a blessing, we are blessed, and God’s blessed presence is welcome at Union Grove, and so are you. See you soon! !